“Begin with closure” for your next food and beverage packaging design. Silgan provides the technology, in-house expertise, value-added services and a full suite of products to meet your packaging needs. 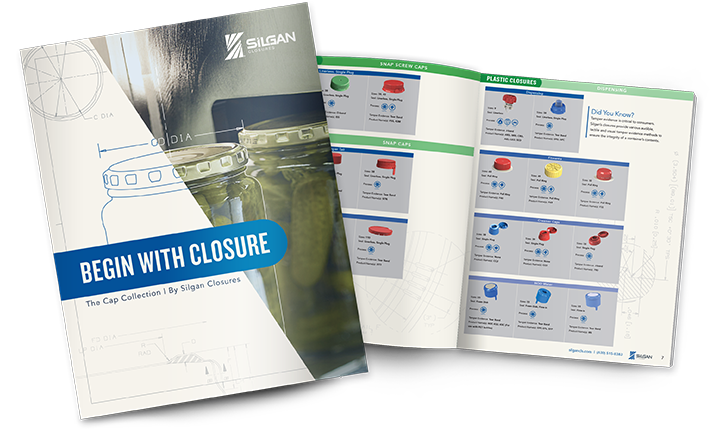 Click here to download your copy of the Silgan Product Catalog. Silgan has assembled a product suite of popular sizes and colors using requested formats providing a broad range of products in small quantities. With our expertise available to help through the selection process, this solution couldn’t be any more turnkey for customers looking to protect their food and beverage products. 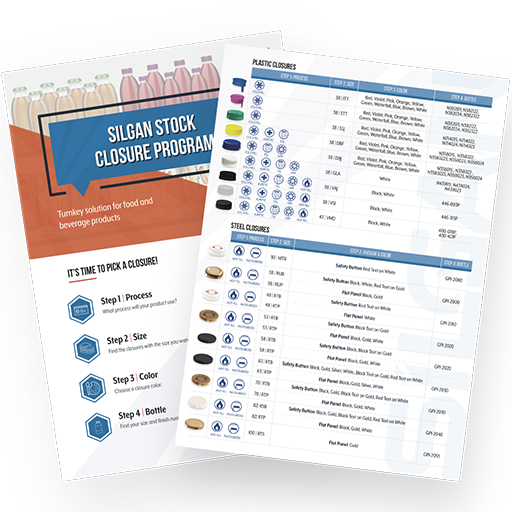 Click here for more information on how the Stock Closure Program works. In support of startups and distributors alike, Silgan has announced its Free Closures for a Year contest. We will evaluate new product concepts of all food and beverage categories using our stock closures. Three finalists will receive Free Closures for a Year as well as process consultation and a complimentary package evaluation.